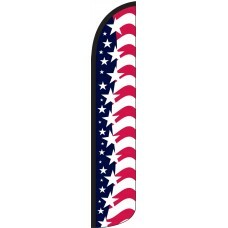 We offer several eye-catching Red, White, and Blue designs to help you decorate your business with a patriotic theme. 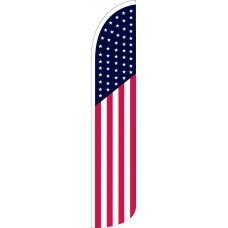 Our most popular American-themed design is our USA Feather Flag which features 50 stars with red and white stripes to match the American Flag. 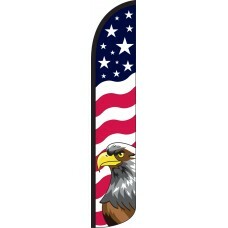 Our Stars & Bars design is also extremely popular and many customers love our new Stars & Bars W/Eagle Feather Flag. 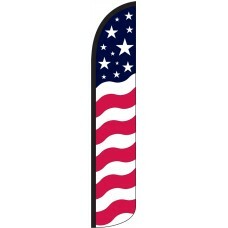 Our Star Spangled Banner Feather Flag offers a twist on the classic American design, with a waving design. 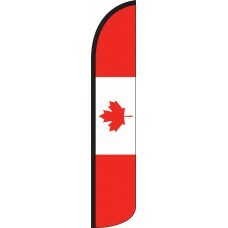 For our neighbors to the north, we offer a Canadian Feather Flag and for our southern neighbors, a Mexican Flag.